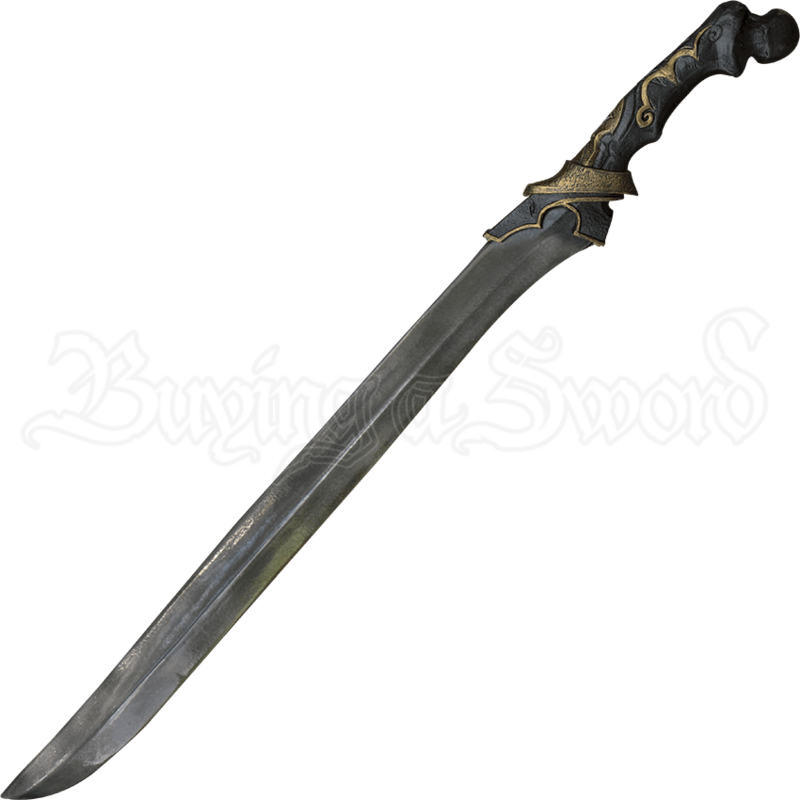 Feared for its deadly and gruesome origins, the Shadow Blade LARP Sword epitomizes the ruthlessness of the Dark Elves. The perfect weapon for a master assassin, legend says lives were taken in order to make this dark LARP blade. The black blade of this Elven style sword is made from a closed cell foam that wraps around a fiberglass core and a Kevlar tip, which adds extra strength to the weapon. The hilt of the blade is crafted from cast polyurethane foam to resemble a carved and blackened femur. Golden colored swirls decorate this morbid weapons hilt, matching the golden tones of the collar that connects blade to bone. Wield this weapon in battle and strike fear into the hearts of your enemies when they realize what you hold! 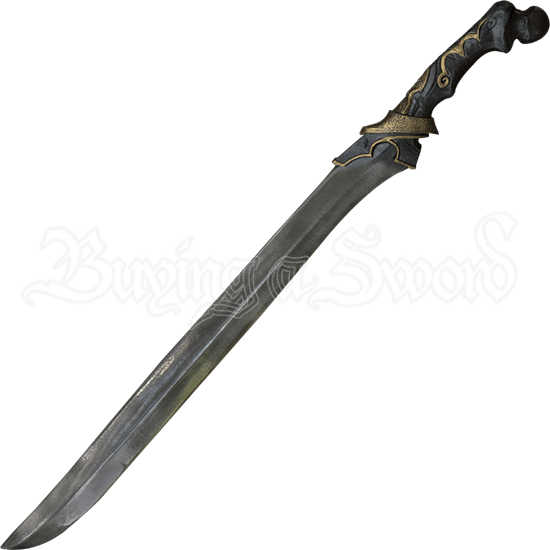 The Shadow Blade LARP Sword has an overall length of 33.5 inches. Please be aware that this measurement can vary slightly, as it is a hand-made item.